Lettings Market Review - Pygott & Crone - Houses. Homes. Harmony. We bring you the latest trends in the rental market, with a detailed focus on Lincolnshire. 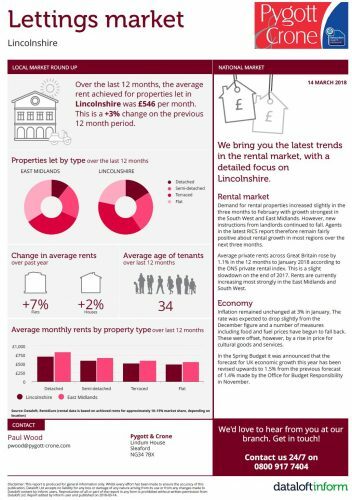 Over the last 12 months, the average rent achieved for properties let in Lincolnshire was £546 per month. This is a +3% change on the previous 12 month period. CLICK HERE to download our latest Lettings Market Review.